Hallelujah! Christ is risen! Today is Easter. Today is a happy day, it is the day that we celebrate Jesus’ victory over Sin and Death, it is the day of His victory- the battle for eternal life is over, God wins! The events that we celebrate today mean that the desertion by his followers, the shambles of his trial and the sheer brutality of the crucifixion were not in vain. His pain was very real, and so too is His victory, which he won for us! Time to party! Think for a second about how cities celebrate their sports teams winning a championship: they throw a massive parade where the whole city welcomes the conquering heroes with scenes of pure joy and jubilation. I would suggest that given the significance, magnitude and miraculous nature of the Resurrection, it would be reasonable to assume that God would do something huge to mark this occasion that would make any championship parade look like an insignificant party planned by amateurs. 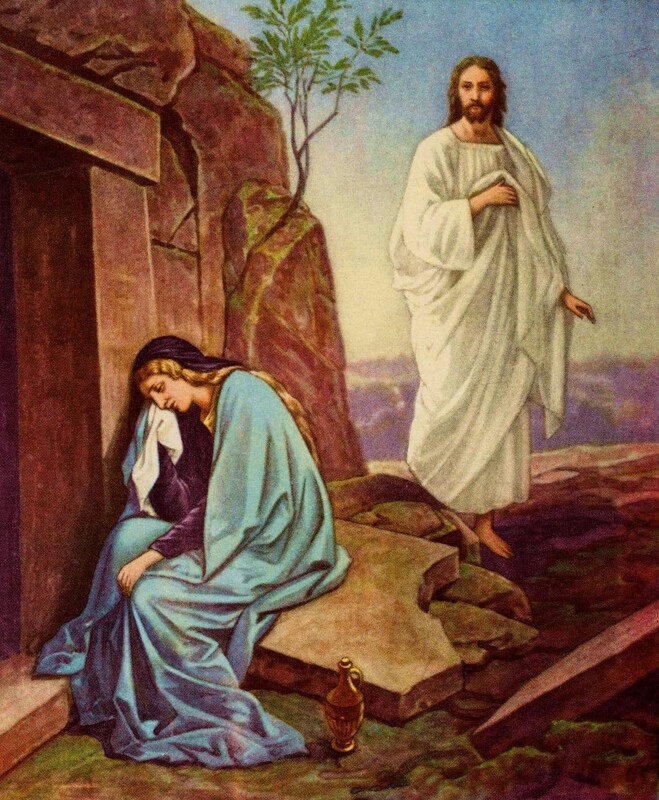 But no….. instead of a triumphant return on rolling clouds, with rapturous cheers from heaven for all to see with their own eyes, the Resurrection was revealed first to a single solitary woman,…. who did not recognize him at first!!! Imagine that you’re watching a movie where you are being exposed to the Easter story for the very first time, but had seen a spoiler alert that Christ does indeed rise again, but you had no clue of how how it would be revealed. The reaction that comes to my mind is something along the lines of WHAT…..after all THAT, revealing himself to a single person is how he announces his Resurrection…..? I believe that Christ announced his Resurrection this way for two reasons. Firstly, it speaks to God being a god of substance. After all what is more important- that he is the Light of the World that saved us from Eternal Darkness, or that he boasted about it with a few flashes of light? The second reason has to do with the idea of free will. The significance of this free will is so huge that we could do an entire series on it, but for now all I want to do is highlight that part of free will means he also granted us the right and ability to reject and turn away from Him. If He had gone for the big flashy re-entrance, I wonder how many would have chosen to follow him not out of love and dedication and submission, but instead out of fear and terror who were not interested in his commands. It is my belief that the Resurrection of Christ, and more importantly the small, humble nature of it sends a similar message that His very humble and “unfit” for what we would have expected for the King of Kings: He came FOR us at Christmas, not to awe us or impress the masses with fancy tricks, and at Easter He healed a broken world and granted salvation to the broken people in it.